Just as our students are busy at school, our construction team is busy with the Phase 3A projects. While the project fell a little behind this summer, the construction is now moving full force ahead. As we progress through the project we will be providing you with regular updates each week in Tin Tuc. We have some exciting news. 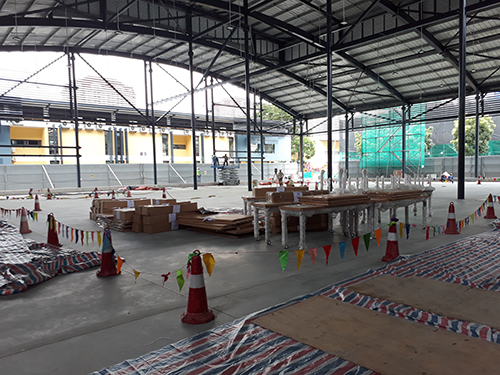 One of the Phase 3A projects is an extension of four classrooms to the Elementary School. The four new classrooms and four existing rooms will be outfitted as flexible and responsive learning environments. 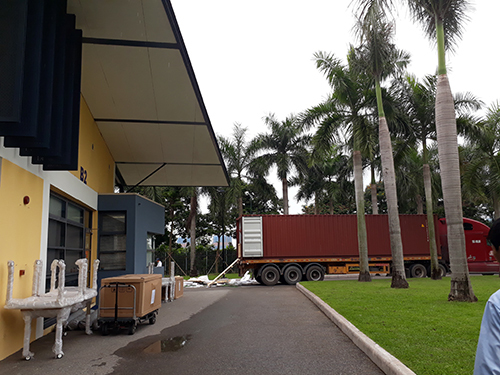 The furniture that was ordered to help create these spaces has arrived and four existing rooms for Grades 4 and 5 will be outfitted in the next two weeks!